Advantra Z Review – Is it safe? Read full review. There have never been as many weight loss supplements as there are today, but so many of them still rely on four or five extremely popular ingredients, like Green Tea, or Raspberry Ketones. Another ingredient that you’ll often find in diet pills is a compound known as Advantra Z, which contains extracts of a Bitter Orange herb many believe can enhance the way your metabolism turns food into energy. 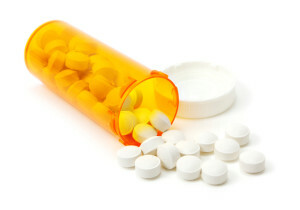 But while Bitter Orange and Advantra Z may be effective, there’s controversy surrounding some deadly side effects that might result from using supplements containing Bitter Orange. Before you even consider if a product’s effective, you need to consider if it’s safe. That’s why we investigated the truth behind Advantra Z to help you stay informed. Advantra Z isn’t a standalone weight loss product produced by any one specific supplement company. It’s an ingredient that’s used as a source of Bitter Orange in a variety of health and weight loss formulas. We’re not quite sure what to make of the fact that Advantra Z is little more than a brand name for Bitter Orange; due to the controversy surrounding that ingredient, we almost suspect that labeling Bitter Orange as Advantra Z may be a tactic to get the ingredient by otherwise wary customers. You can find Advantra Z in supplements like Miracle Burn and Nuphedrine, two weight loss products that, if their reviews are any indication, may not be the most powerful diet pills on the market. Advantra Z is commonly found in supplements that are designed to boost your metabolism. Boosting your metabolism is a common goal in the weight loss industry because it helps you burn more fat than ever while producing more energy than you’re used to. Usually, your body relies on the calories you take in from food to create energy. The calories that aren’t used for energy get stored in your body as fat. But by improving the way your metabolism works, you can get it to burn up all of those calories so that they turn into lots of energy and none of them get stored as fat. If you boost your metabolism enough, it could even start burning fat that is already stored in your body, which sounds like an ideal way to lose weight. Advantra Z is found in various products, many of which have varying degrees of success. 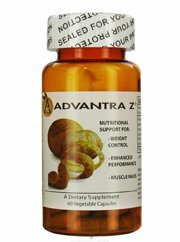 Advantra Z does not seem to be a defining factor in any of the products that use it’s ability to result in significant weight loss. Bitter Orange Extract: you can find this ingredient in plenty of diet pills, usually used as a safer substitute for prescription strength weight loss ingredients that the Food and Drug Administration has banned. Unfortunately, Bitter Orange Extract doesn’t really seem to be much safer considering that it products that feature it have actually resulted in the same deadly side effects that got ingredients like it banned in the first place; namely fatal liver damage. Read our top 10 list to find health and weight loss supplements with all natural ingredients. While Bitter Orange has not been explicitly linked to the dangerous side effects associated with it, products containing the ingredient have resulted in liver damage that has killed at least one user. Advantra Z is used in a lot of different weight loss supplements, so it should be pretty easy to find. You can’t find Advantra Z sold as a standalone product, so you’re going to have to use a product that uses it as an ingredient if you want to reap its alleged benefits. Things get complicated when you add other ingredients into the mix though, as you’re more likely to experience different side effects. Of course, due to the fact that it contains Bitter Orange, using Advantra Z as a standalone product probably wouldn’t be very safe either. There are better products available for the same amount of money. Advantra Z is a weight loss ingredient employed by many different supplements as a metabolism booster used to burn fat and increase the amount of energy your body produces. Advantra Z only contains one ingredient and unfortunately it’s a dangerous one: Bitter Orange. Usually used a substitute for the illegal weight loss drug Ephedra, this ingredient has formerly been found to result in liver-related death and we recommend you avoid any product that uses it. Because of the presence of Bitter Orange in this supplement’s formula, we just simply cannot recommend you use products containing Advantra Z. You’ll have an easy enough time finding an effective diet pill that doesn’t possess the potential damage your liver. 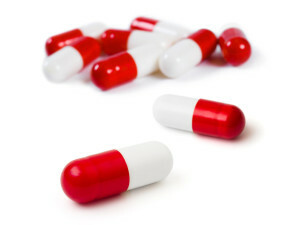 It’s strongly recommended that you look into diet pills that are more effective and safer for your health. Whats better than Advantra Z Review – Is it safe? Read full?